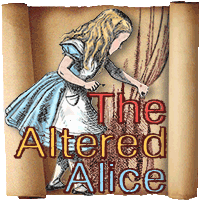 Hello fellow blog readers. Today I have two cards to share, showcasing wonderful methods of applying mediums from Technique Junkies Newsletter. Technicolor Dye Inks - December 2007 and Polished Mulberry June/July 2003. 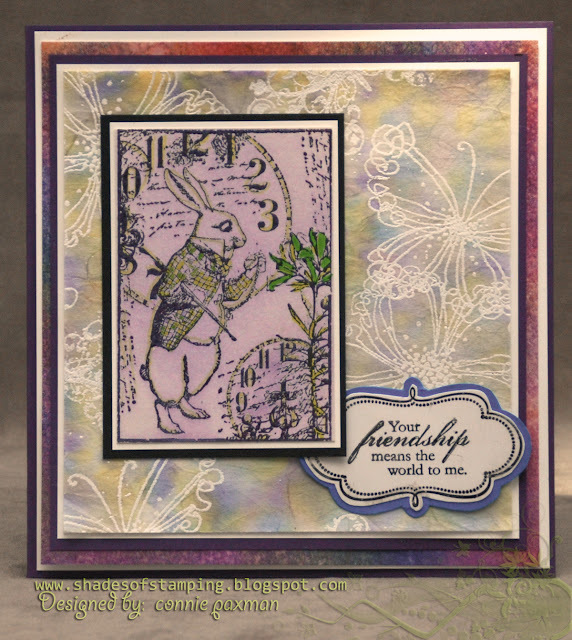 The stamped image of the Rabbit is from Artistic Outpost " Wonderland Collage" stamp plate. 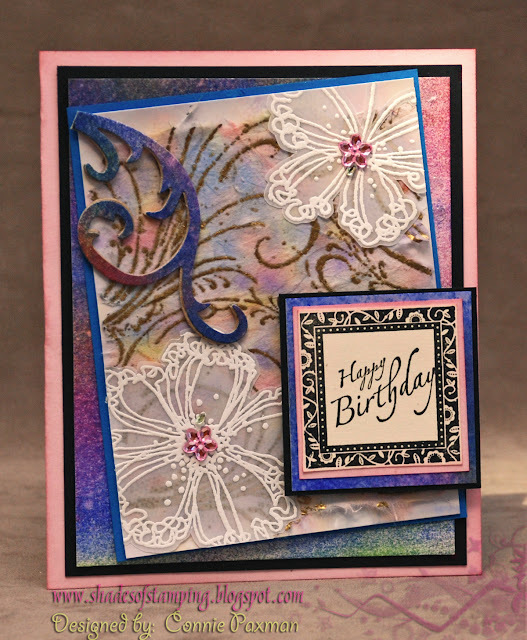 The Butterflys and flowers stamped and embossed in white embossing powder are from Stampendous, Ruffles Flower and Ruffled Butterfly . Both are just marvelous Connie! Love your color combinations and your layouts are always perfect! Fab cards Connie - love all the color! Beautiful work again, I love the fact that you always make your own backgrounds. All the technique's you use to create them. and that is what stamping is all about. Terrific results. You always turn these techniques into a beautiful piece of art.